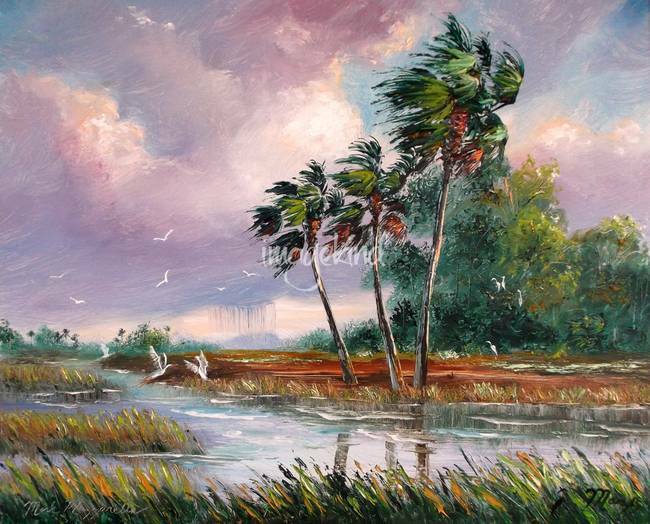 Striking Florida scene with Wind, Rain and colorful clouds... by Nationally known Artist Mazz . . . Created with a palette knife and bristle brush.